They had Eagle Days at Milford Lake here in our area last weekend. You can get into parts of the park that you normally would not for free to see if you can spot an eagle. The wind was horrible that day, 40mph at times. However I was able to spot a couple of eagles that day. 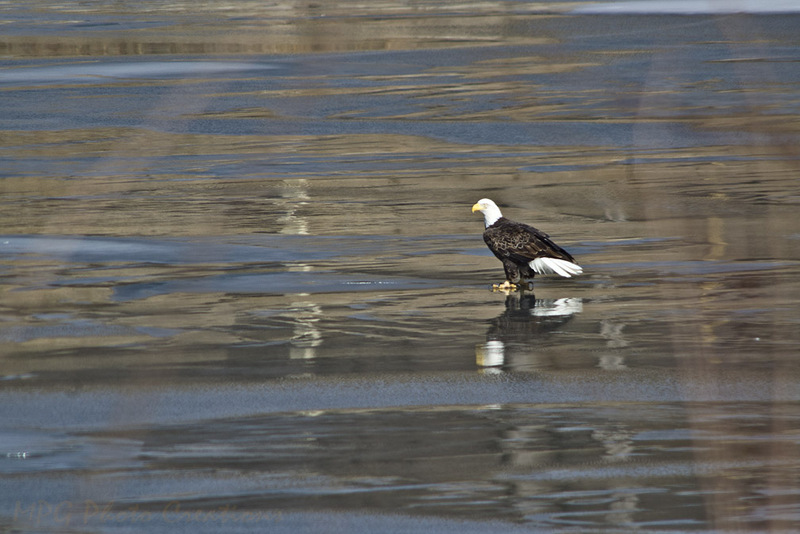 I got this image from my car of an eagle standing on the ice in a cove area. I liked this for the reflection it was making on the melting ice as well.